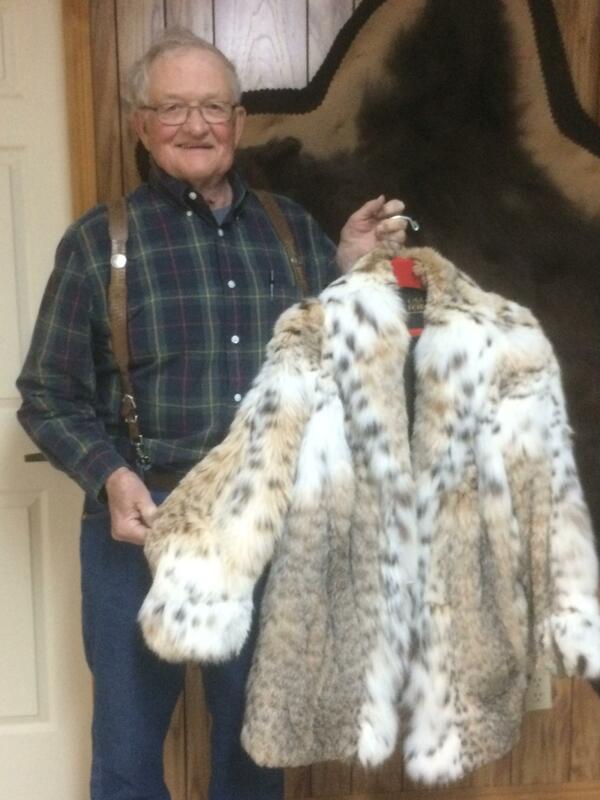 Trapper Tom Krause shows off the bobcat belly fur coat he had made for his wife. He guesses it's probably worth about $7,000. Riverton trapper Tom Krause shows me around his workshop where furs of every sort are displayed on the wall. Ermine, wolverine, lynx, Krause has furs from all over the world. He’s been trapping since he was 13 when he caught and sold his first mink back in the 1950s. He says, back then, a single mink brought in as much as a man got paid digging ditches for a week. In his 30s, Krause even made a living as a trapper and it’s always supplemented his income. Soon, we come to the bobcat pelt. I reach out to touch it and it’s soft as bunny fur. This winter, Krause trapped 13 bobcats. A buyer recently came to town and he sold them all. Thirteen pelts at $400 a pop means Krause made about $5,300 this year on bobcat pelts. Meanwhile, a beaver pelt only goes for $8, coyotes $50, otters $30. Even lynx are significantly less, around $70. Krause says sometimes fur buyers even pay as much as $1000 for an extra special bobcat pelt. It's the only spotted feline that's still legal to trap in the world. And Wyoming’s bobcats are incredibly soft while those out east or in the Midwest are wiry and stiff. It takes about 30 bobcat bellies to make a coat. Krause shows me one he had made for his wife. Internationally, bobcat coats can sell for $100,000 to the world’s extremely wealthy, especially Europeans, Chinese and Russians. A recent study, though, says that Wyoming could be making much more on bobcats by leaving them alive. Lisa Robertson is the president of Wyoming Untrapped. She came up with the idea of putting a dollar value on live animals while watching a wild bobcat on the Madison River near Jackson. “There was a BBC photographer there as well and he’d been there for two weeks, photographing and filming, and we sort of worked together, finding the bobcat, watching it, enjoying it. And we realized, this is a very valuable bobcat. 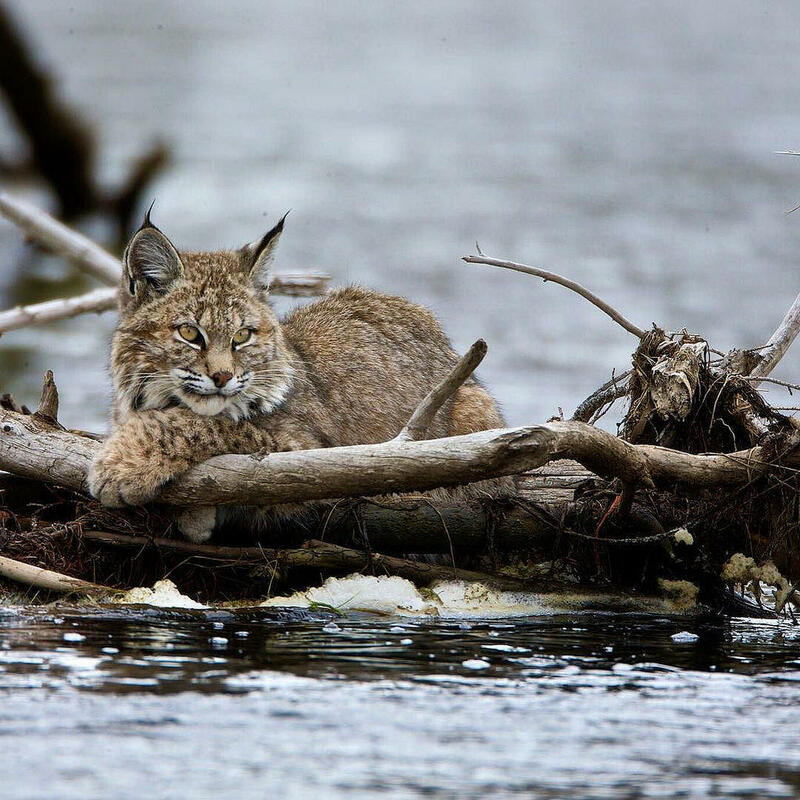 Many tourists made special trips to Wyoming to photograph the Madison River bobcat that winter. So Robertson started reaching out to wildlife watchers to see how much they’d spent in Wyoming on such trips on things like hotel stays, restaurants and gas money. Photographer Jack Davison caught a glimpse of the Madison River bobcat in 2015. Comparatively, Robertson found that a trapper making a trip to kill one animal only brings in $315 for the state’s economy. And Robertson says trapping them is also inhumane. To preserve their pelts, bobcats are choked to death rather than killed with a quicker gunshot. And in Wyoming, trappers only have to check their traps every three days. Robertson would like to see Wyoming require trappers to check every 24 hours instead. And Robertson says, with the value of bobcat pelts so high, the Wyoming Game and Fish Department needs to set a quota, alimit on how many bobcats can be taken a year. Ten years ago, over 3,036 bobcats were trapped, but last year, it was only 1,397, half as many. Yet a 2010 Fish and Wildlife Management Study shows that bobcat numbers are actually increasing in most states. 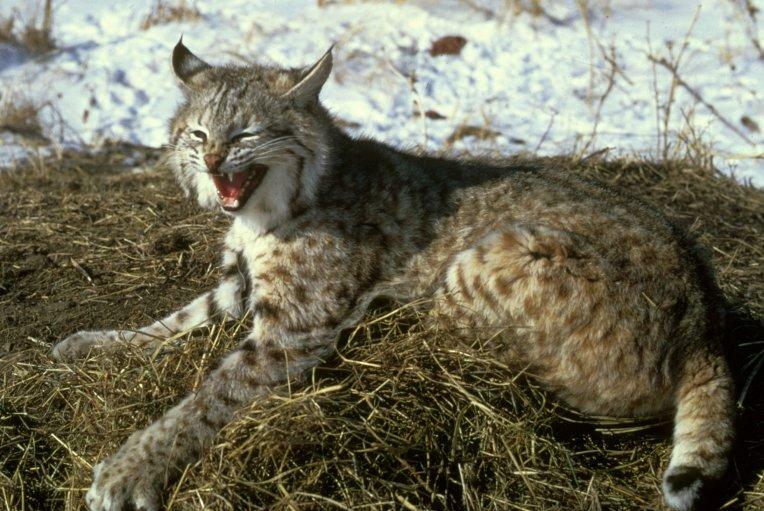 “Wyoming has some great bobcat habitat and associated bobcat numbers,” says Wyoming Game and Fish Deputy Chief Scott Edberg. He says they’re a very elusive species, and that’s why he thinks trapping permits are the only way to keep track of population numbers. But, he says, his agency still re-evaluates the bobcat season every few years. Out in his garage, Trapper Tom Krause demonstrates how a #2 foothold trap works. “So this trap will be staked solidly in the ground and then covered with dirt,” he says, opening its jaws. “But I’ll go ahead and spring this trap now.” It snaps shut with a loud clank. Krause wrote a handbook on how to safely and more humanely trap, especially the importance of following regulations very carefully. “Yeah, they can be over-harvested and that’s possible,” Krause admits. The state of California banned bobcat trapping after one trapper extirpated the species from one local area. He says, he advices trappers to release females and kittens. Wildlife advocates aren’t convinced. The Center for Biological Diversity’s Jean Su says the international fur market is affecting North American wildlife and recently filed suit against the U.S. Fish and Wildlife Service. A judge recently denied a request to dismiss the case. Another hearing is set for later this month. A new study shows tourism dollars generated by a single bobcat are greater than if the same animal is killed for its fur pelt. Because of tighter international laws banning trapping of other spotted cats, the number of bobcats hunted or trapped for their pelts has quadrupled in recent years. 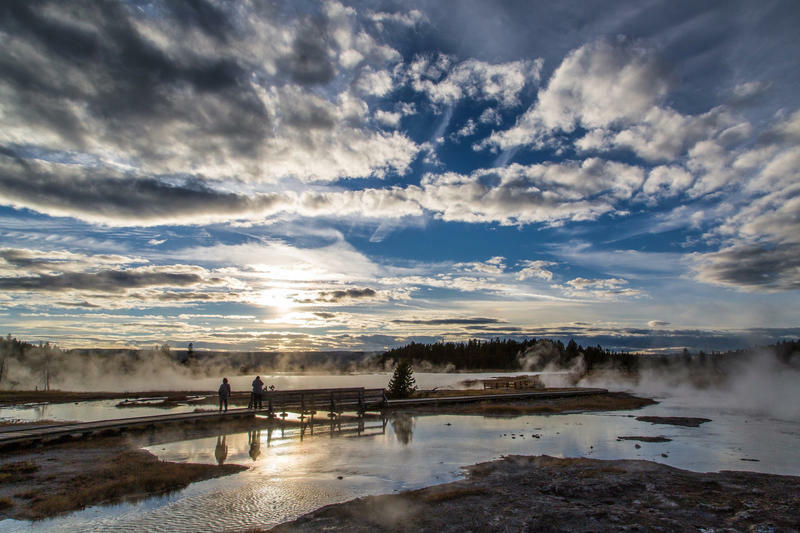 Wyoming residents value access to fish and wildlife. A recent study by the national survey firm, Responsive Management, shows about half of the state's residents bought a hunting, fishing or trapping license in the last five years. The study was commissioned by the Wyoming Game and Fish Department in an effort to get a better idea of current attitudes toward fish and wildlife, the department and its management. 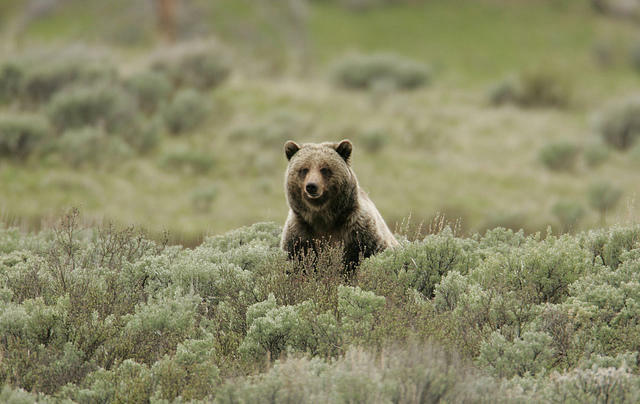 A federal district judge cited potential grizzly hunts when denying the federal government’s request to delay lawsuits that challenge the bear's delisting. A local organization is calling for an overhaul of Wyoming’s trapping regulations, saying they haven't been updated since before the de-listing of wolves. 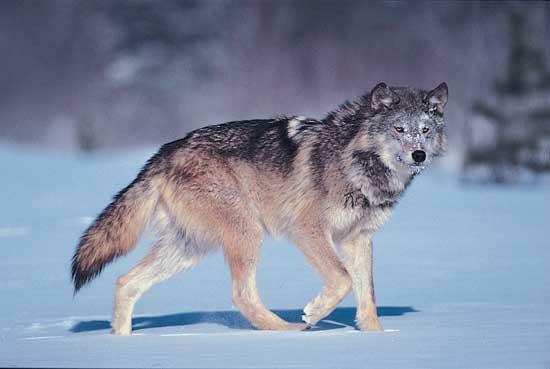 The group—called Wyoming Untrapped--says more people are setting traps since the de-listing of wolves, which are considered livestock predators. The increase has led to more pets caught in snares and leg holds. 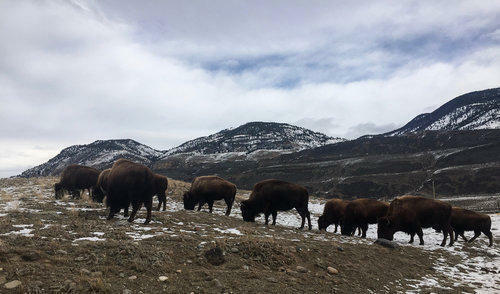 The bison population on the outskirts east of Yellowstone has grown over the years as solitary bulls slowly migrate away from the park. Now, the Wyoming Game and Fish Department is proposing the first-ever hunt in that area known as the North Fork to address that.